It’s been about four months since I first joined Pinterest and boy has it changed my life for the BeTtEr! The ideas just keep coming and I can’t get enough of them! The first project that I tried from Pinterest was this simple fingerpaint technique shared by . 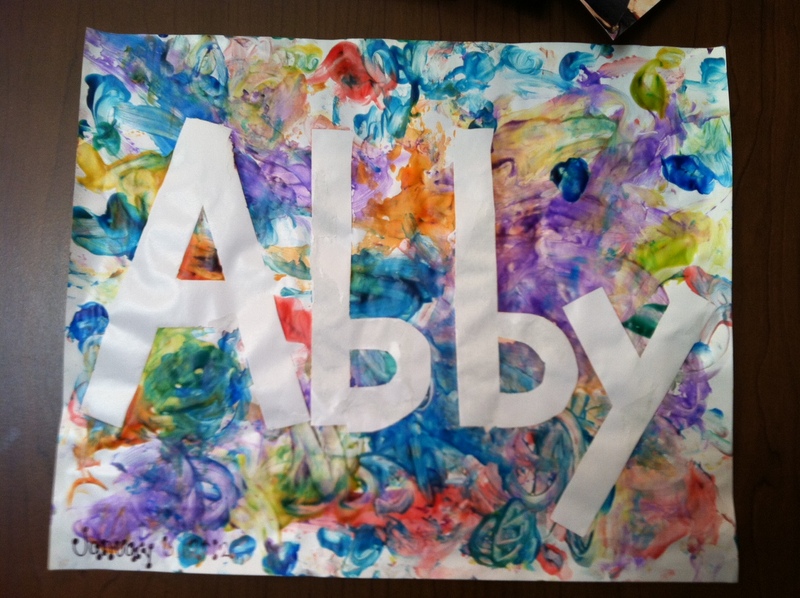 Use blue painters tape to spell your child’s name on fingerpainting paper. Let them fingerpaint over the tape. Once the paint has dried remove the tape to reveal their name in white!